Cheshire East Council’s arms-length Skills and Growth Company has launched a dedicated service to help local businesses access finance to boost their growth which includes the Northern Powerhouse Investment Fund. The Access2Finance service is in response to the findings of the latest Cheshire business survey, commissioned by the council, which found that 28 per cent of businesses said not accessing finance was a barrier to their growth. Nearly 40 per cent of them claimed that cash flow problems were also hampering their expansion plans. The findings echo national research from the Financial Times which revealed eight out of 10 business loans are provided by the big four banks and only three per cent of small businesses seek alternative finance options if turned down by their bank. 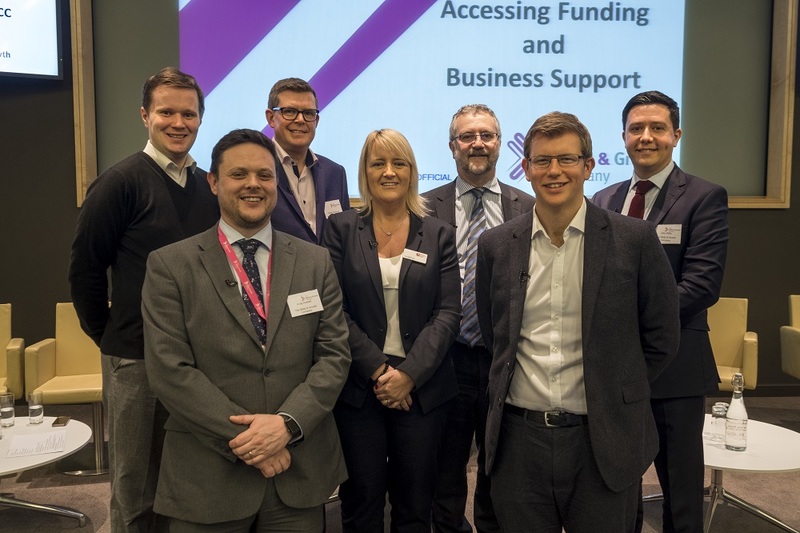 Access2Finance is a bespoke service to ensure businesses are ‘investment ready’ and will help businesses navigate the many types of finance available, including grants, loans and equity finance, to help select the right funding for their business. This could include alternative finance such as the government-backed Northern Powerhouse Investment Fund, which was set up to provide more than £400m of investment to businesses. Cllr George Hayes – chairman, The Skills and Growth Company; Andy Hustwit – Access2Finance Manager, Skills and Growth; Charlie Graybrook – Frank Olsen Furniture; Sue Barnard – British Business Bank; Andrew Nichols – Business Finance Solutions; Jeremy Thompson – Maven Capital Partners and John Willis – Business Engagement and Inward Investment Manager, Skills and Growth.